We provide scalable solutions for Heavy Machinery industry, delivering mechanical engineering design services using SolidWorks. We have an experienced mechanical design engineers that caters to the Heavy Machinery industry, delivering mechanical engineering design services using SolidWorks to manufacturers of Industrial Machinery and Heavy Equipment. 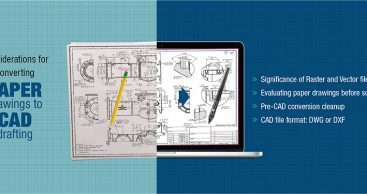 We aim to be a full mechanical design service provider to the industrial heavy machinery industry by leveraging our skills and expertise in engineering design and product lifecycle management (PLM) solutions. Our construction and industrial machinery domain is comprised of experts with wide experience in 2D CAD drafting, product design, 3D CAD Modeling and CAD conversion services. Our highly skilled and experienced team offers mechanical engineering design solutions to complete product design and development of various Industrial Machinery and Heavy Equipment such as tractors, dump trucks, excavators, backhoe loaders, wheel loaders, graders, dozers, compactors, towing tractors, cranes and other mining and construction equipment. We aim to reduce the consumption time and other problematical aspect of the construction project so that our clients can concentrate on their core business.